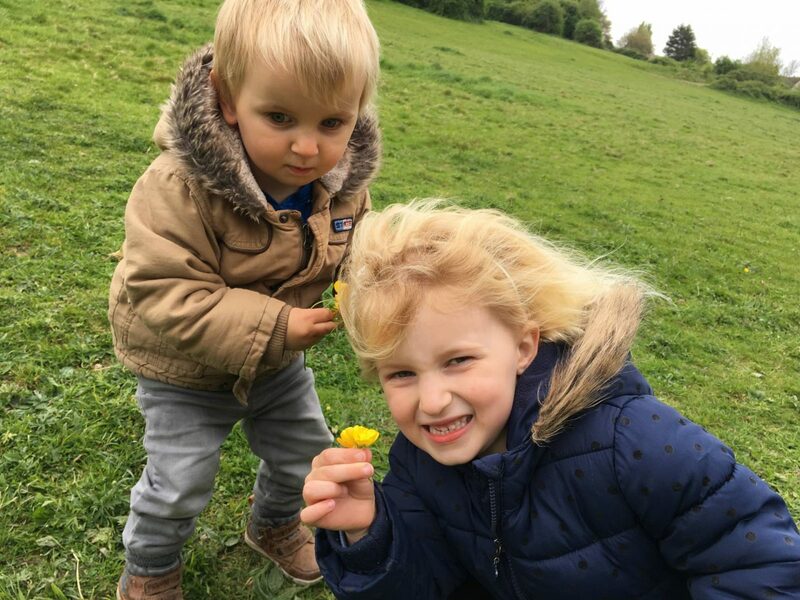 Today we have Victoria from Lylia Rose, Victoria lives with her husband Ben and, her two children, Bella and Rushen in Gloucestershire. Hello! 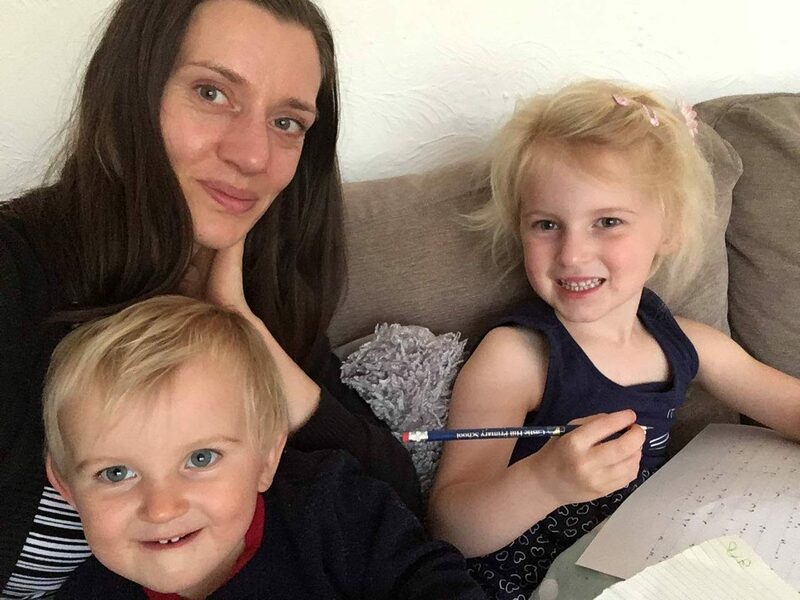 I’m Victoria and I’m mum to Bella and Reuben. I live in Gloucestershire with my husband Ben, our children, some fish and four chickens. 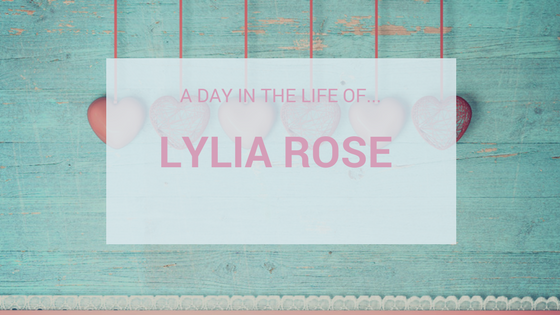 I work from home running the Lylia Rose UK lifestyle blog. Here is our typical weekday routine. 06.00: Ben’s alarm goes off and he jumps up into the shower. I swear he showers longer than me and can be in there for half hour! 06.15: I stay in bed trying my best to wake up, but usually snooze for an extra 15-30 minutes or start looking at my emails on my phone. Reuben, age 2, climbs into my bed and wants to play on games as he’s seen my phone. 06.30: Ben gets out of the shower and I begrudgingly pull myself out of bed and have a shower. I’m always super tired first thing! 07.00: By 7am I’ve had a shower, got dressed and put on my makeup. Bella, age 4, has usually got out of bed whilst I’m in the shower. Ben will have just left for work. 07.20: I battle with Bella to get her to put her school uniform on and explain ten times why she must wear a cardigan and tights today as it’s raining. She wants to go half-dressed today! We then head downstairs to make breakfast. Reuben has normally had a little something with Daddy, but he’ll always want seconds when me and Bella have ours. He eats like a man! We usually have either dippy eggs (Bella’s favourite), porridge or the children have ‘Bear’ cereal and I have muesli. 07.50: After breakfast we have just under one hour until the school run. If I have lots of work to do I’ll try and grab 30 minutes on the laptop whilst the children watch cBeebies or play. I’ll tidy up the mess from breakfast, get school bags ready and tidy toys away. 08:30: An alarm goes off on my phone to remind me to get ready for the school run! 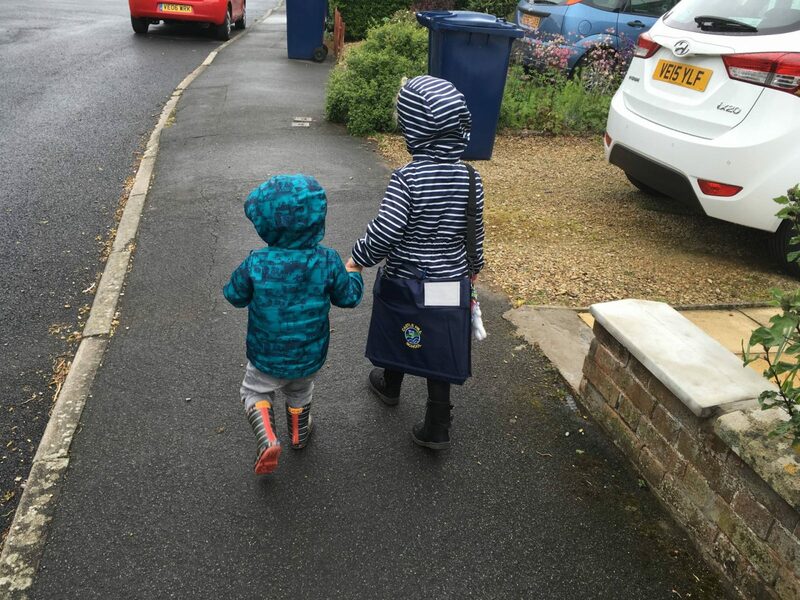 It’s time to go to the toilet, put shoes and coats on, and make sure we all have water bottles, fruit, school bags and after school activity bags. Most days this is the most stressful time of the day as the children decide to run around the house hiding from me! 08.45-09.00: We leave home and walk to school/playgroup. Bella goes to school and Reuben goes to playgroup. 09.15: I arrive home and work from home for 2.5 hours doing as much as I can glued to my laptop. 12.00: I pick Reuben up from playgroup and try to get him to walk home. He was always stubborn and wanted to walk, refusing his pram, but now he walks a tiny bit and demands a carry! If I don’t carry him he’ll stand still and scream, even if I keep going to the end of the road. I’ve started calling him King Reuben as he wants to be carried everywhere. He’s really going through the Terrible Twos and demanding his own way. 12.15: Once home I cook us lunch. Reuben will not eat a sandwich, in fact he’s not yet tried one as he refuses, so it’s always a cooked lunch. Occasionally he’ll have rice crackers and a cold lunch, but only if he’s in the mood! He likes his home cooked meals. Pasta, veg and chopped tomatoes is a quick and easy meal I usually make for lunch. Pasta is Reuben’s absolute favourite. 13.00: Reuben falls asleep for a nap so I usually have at least one hour to do more work. Reuben did drop his naps at around 18 months, but now he does four mornings a week at playgroup he gets more tired in the afternoons and needs the extra sleep. 14.00-15.00: If it’s dry we’ll walk to Tesco to pick up a few essentials and for the exercise for me, it’s around 5000 steps there and back so a great powerwalk with the pram. We’ll go straight to the school to pick up Bella on our way home. If it’s wet we’ll play at home for one hour before the school run. 15.15: We arrive home and I empty the school/playgroup bags to read any letters and find any homework/new reading books. Bella changes out of her uniform into play clothes and the children play. Some days they are hyper from school running around the house after each other, but other days they are tired and sit with the iPad or watch Peppa Pig. If Bella has homework she’ll sit in the playroom to do this at her desk. 16.00: I start preparing dinner, this is always a home cooked meal so I usually start to prepare one hour before we eat. By now the children will start to say they’re hungry so they sometimes have a snack of dried fruit or dry ‘Bear’ cereal whilst they wait for dinner. 16.30: Daddy arrives home from work and the children always run to the door shouting in excitement when he gets home! 17.30: After dinner we will clean, tidy, play, do homework, go for a walk or see if our chickens have laid any eggs. 18.30: The children have a bath if it’s bath night (we tend to do this every other night) and brush teeth and put pyjamas on with both me and Ben helping now I’m no longer out at work in the evenings. 19.00: By 7pm, though sometimes later, the children are in bed ready for a bedtime story. We’ll do one child each and then sometimes swap. 20.00-20.30: It’s rare they fall straight to sleep, so by this time they are finally both asleep after wanting me to lie with them in bed whilst they fall asleep. 20.30: I work for 2-3 hours whilst half watching a film or series with Ben. 22.30-23.00: Ben has fallen asleep by now and I crawl to bed trying to resist the urge to look at my phone! Sometimes I will read the news for twenty minutes before going to sleep. If you would like to find out more about Victoria, head over to her blog or follow her on Twitter or Instagram.